The next production by the St. Scholastica Theatre will feature a visit by its internationally renowned author, as well as a visiting guest actor. "Eleemosynary" by Lee Blessing premieres at 7:30 p.m. Friday, Feb. 2 in the St. Scholastica Theatre building, which is behind Tower Hall on campus. Additional evening performances will be at 7:30 p.m. on Feb. 3 and on Feb. 8-10. Matinee performances are scheduled for 2 p.m. Sunday, Feb. 4 and Sunday, Feb. 11. Playwright Blessing will attend the Feb. 8 performance and will join the cast for a Q and A after the show. 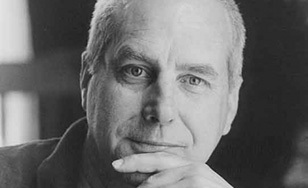 He is best known for his work "A Walk In The Woods," which was nominated for the Pulitzer Prize as well as a Tony Award. "Eleemosynary" tells the emotional story of the complicated relationships between three generations of women: Echo, a 16-year-old spelling enthusiast; Artie, her brilliant mother; and Dorothea, her eccentric grandmother. Dorothea, who raised Echo and holds the family together, is being cared for by Echo after suffering a stroke. The crisis forces the estranged Artie and Echo to figure out the nature of their mother/daughter relationship, come to terms with the past, and learn the true meaning of love. The performance of "Eleemosynary" is a St. Scholastica Theatre Senior Showcase featuring senior actors Abbilyn Primus and Shayna Schafter, along with visiting guest actor Sarah Jane Hale. Hale, a 1985 graduate of the University of Wisconsin - Superior, recently came home to the Twin Ports to launch a music career after 30 years in Hollywood. Her credits include working as a stand-in for Patricia Heaton on "Everybody Loves Raymond" and as a dialogue coach on "Two Broke Girls." The production of "Eleemosynary" is directed by Merry Renn Vaughan, associate professor and chair of the Communication, Theater and Art Department. This production is supported, in part, by Pachel Foundation. St. Scholastica Theatre's 2017-18 season will conclude with "Journey's End," the story of a group of officers in the British trenches during World War One. The play premieres at 7:30 p.m. April 13.